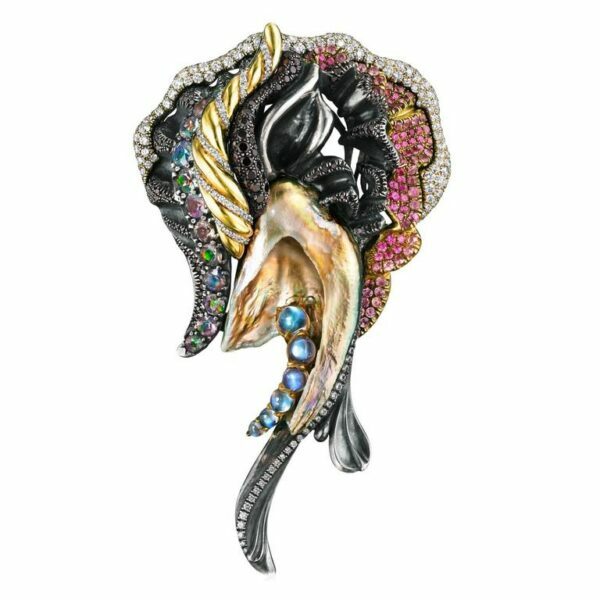 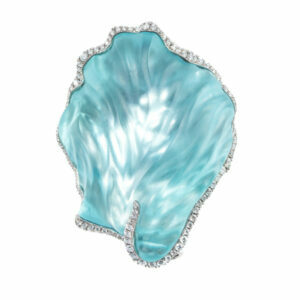 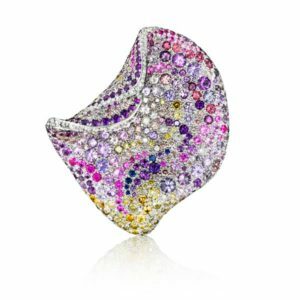 This magnificent one of a kind brooch features a natural GIA certified Chinese freshwater pearl. 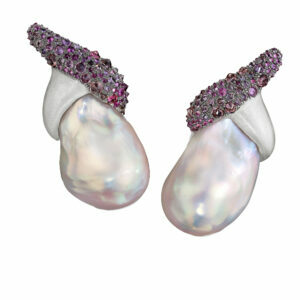 The pearl is accentuated with beautiful layers of platinum, 18K yellow gold, 18K white gold, and sterling silver. The various fine metals are set with VS-FG white diamonds, black diamonds, multicolored sapphires, faceted Ethiopian opals and moonstones. 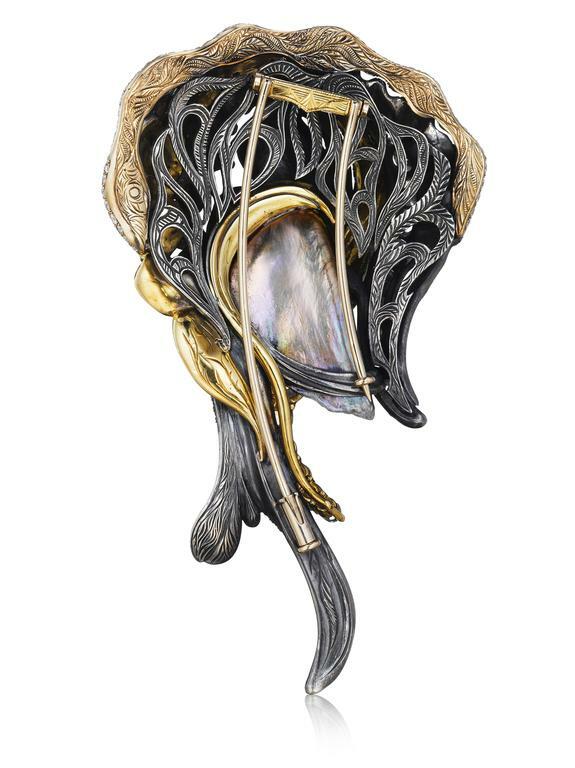 The back of the piece is delicately engraved.